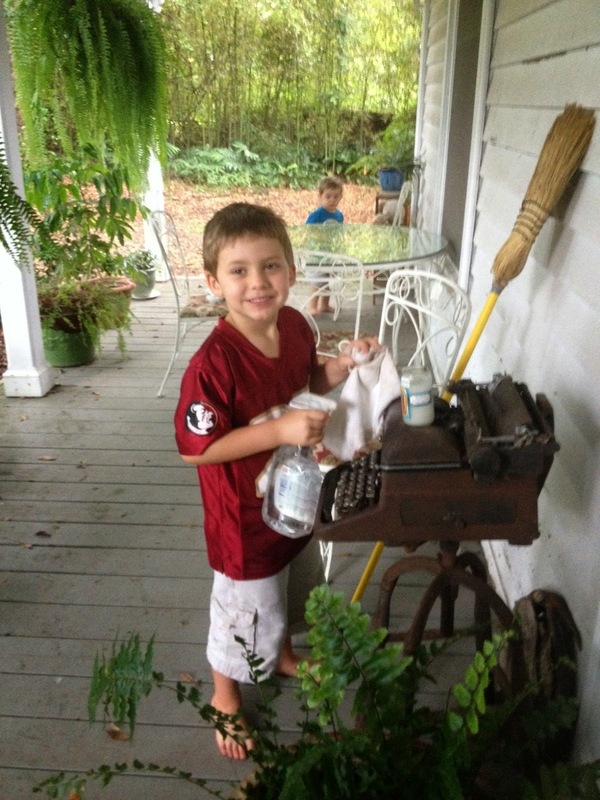 Owen cleaning the front porch. 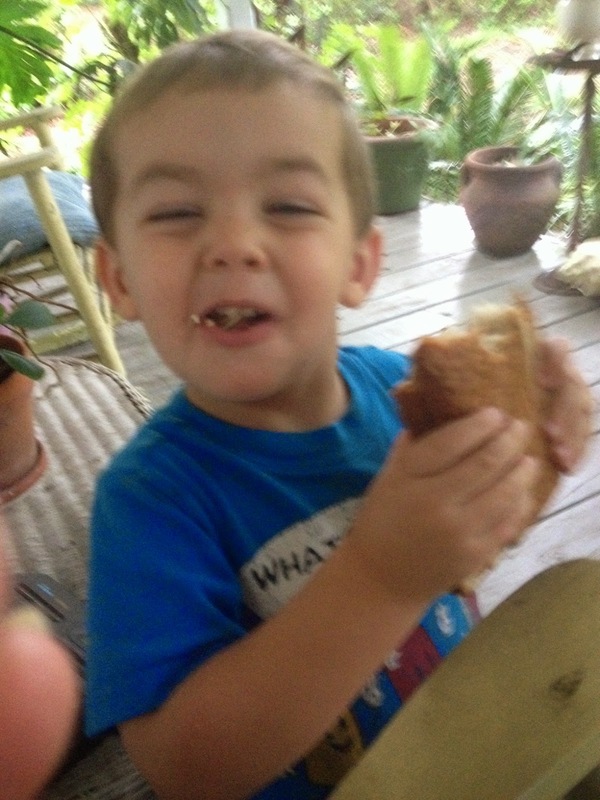 Gibson eating three slices of bread at once that he was supposed to be feeding to the chickens. He looks what we would describe in Ireland as 'happy out'. Gibson is growing up. He looks big here. Jill- Yes. He is. But he's still my baby. Looks like a great day. Thanks for sharing Ms. Moon. Denise- They are my beauties. LOL on the three pieces of bread. I remember my cousin and I would have contests to see who could stuff the most Oreos in our mouths. You’ve got a keeper there!